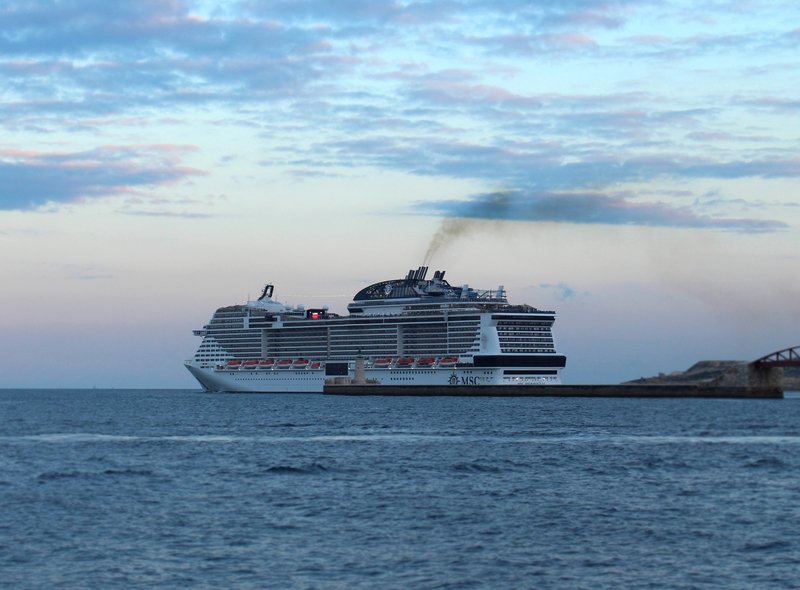 Air pollution from ship traffic in the Mediterranean Sea can be significantly reduced due to the introduction of an Emission Control Area (ECA), a French study has found. 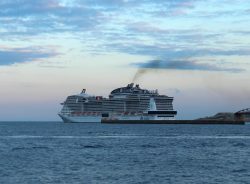 The impact assessment, which started in 2017, investigated potential air quality improvements in the region following a switch to better grade marine fuels as well as the related socio-economic benefits of reduced health costs and environmental damage obtainable by the designation of an ECA in the Mediterranean Sea. 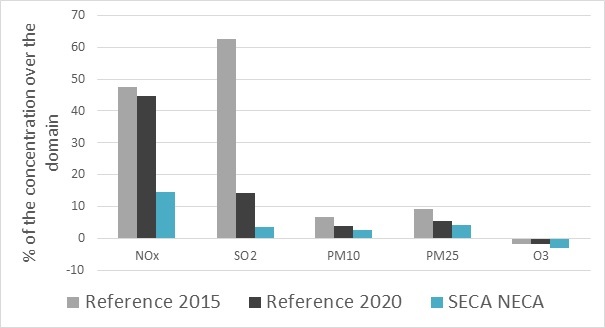 The report highlights that particulate matter (PM) can be reduced by up to 20% and nitrogen dioxide (NO2) levels even by up to 76%, leading to up to €14 billion in reduced health costs and potentially saving more than 6,000 lives every year in the region. 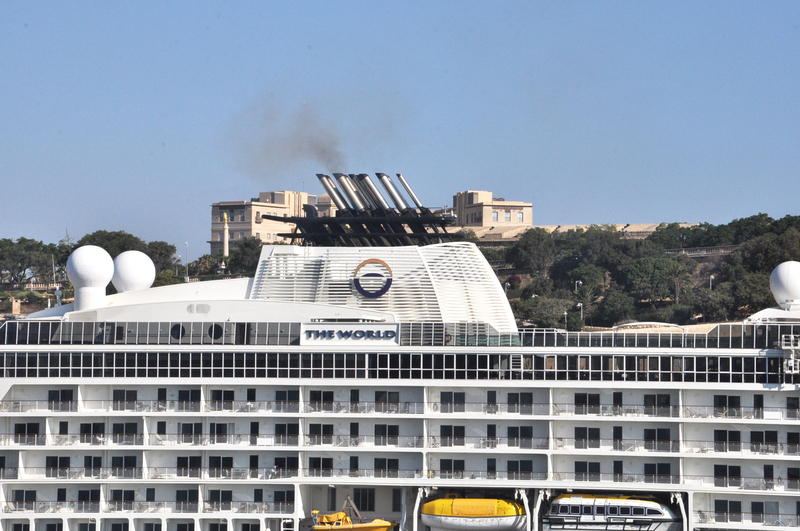 Shipping air pollution can represent up to 40% of all Mediterranean costal city air pollution. It represents a significant threat for human health, environment and climate. The main reason for this pollution is the use of heavy fuel oil, highly charged in sulphur that emits black carbon, heavy metals, fine particulates (primary and secondary), and sulphur dioxide. As pollutants are carried over long distances, it is not only the inhabitants of littoral zones but also the populations in the inland regions who are subject to respiratory issues as well as inflammations and cardiovascular diseases. 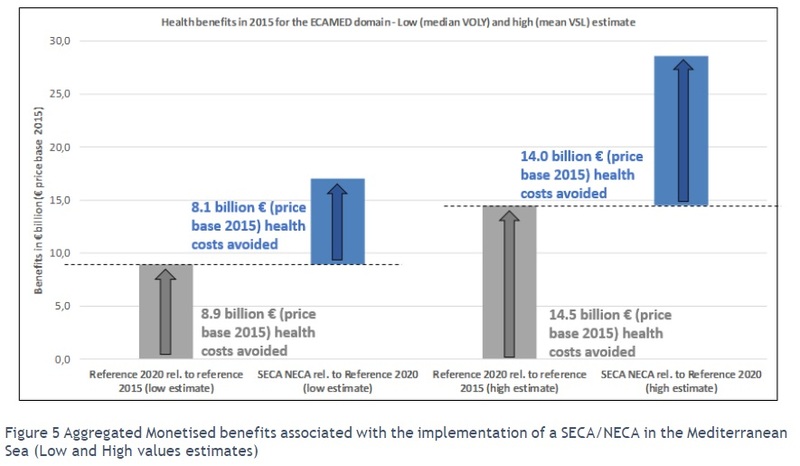 The key finding is that the region would benefit most from a combined Sulphur Emission Control Area (SECA) and Nitrogen Emission Control Area (NECA). Sulphur dioxide (SO2) would be reduced by 77% and in port areas even by 100%. NO2 would decline by up to 76% in coastal areas and the east of the Mediterranean Sea. The annual mean of particulate matter (PM2.5) will go down by 15 to 20%. Shipping emissions cause 50,000 premature deaths per year in Europe and cost €60 billion just in health costs per year in the European Union (EU). In the Mediterranean region only, about 6,000 premature deaths could be avoided due to the reduction of the particle pollution. 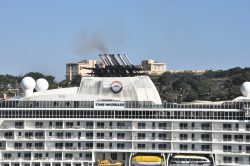 Both FNE and NABU (BirdLife Germany), together with BirdLife Malta and several other international NGOs, are partners in the ongoing Together against Air Pollution from Ships project which is delivering an awareness campaign on air pollution generated by cruise ships in the Mediterranean with the ultimate goal of establishing an ECA in the Mediterranean Sea. All partners in the project have welcomed the conclusions of the French study which has just been published.